We here at Cliona’s Foundation support and back Team AIB Racing, who are participating in the World Finals of the Formula One in Schools this September in Singapore. The four boys from transition year in St. Muredach’s College, Ballina, Co Mayo, have been working tirelessly all year designing, making and racing their 1:20 scale formula one car. They would greatly appreciate if you would like and share their Facebook page and Twitter account. 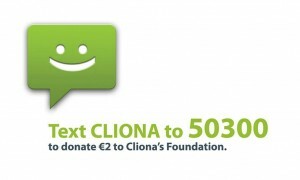 They in turn are doing the same for Cliona’s Foundation.